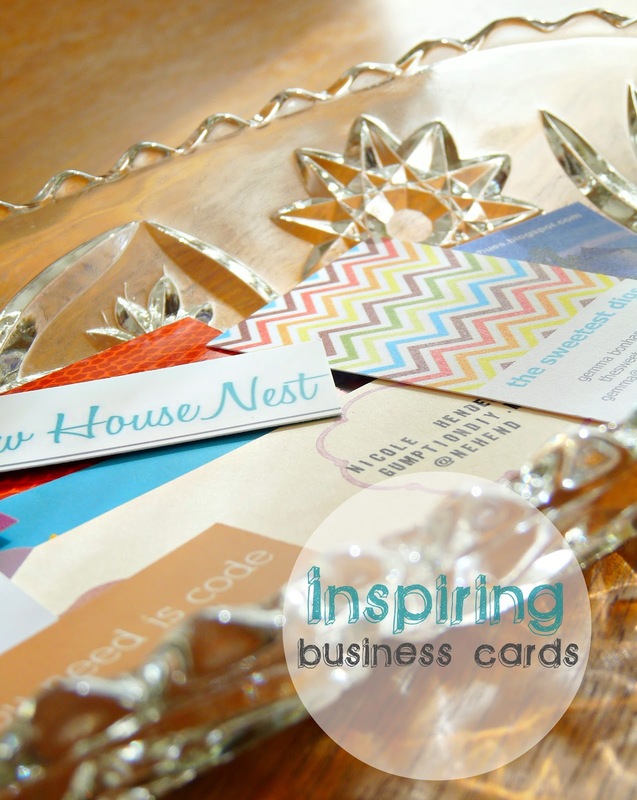 Business Cards: DIY or Don’t? 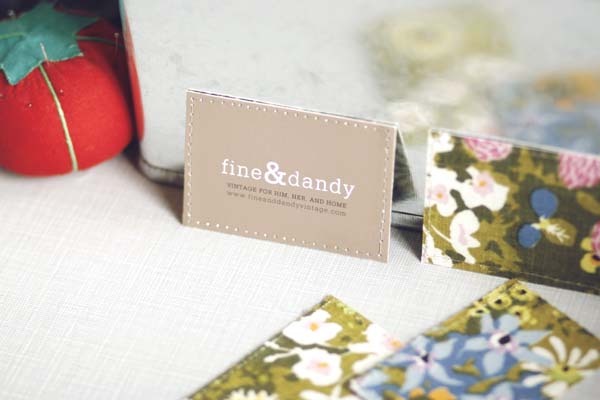 Happily, many bloggers commented on my blog business card, which I ordered from Penny Paper Co (I love supporting Canadian). I knew I wanted turquoise chevron (turquoise and chevron are two of my favorite things, so I knew I wouldn’t tire of the design), and Lindsay created the perfect shade of turquoise for me. I emailed her a link to the blog and she picked a complementary font, too. I really appreciated how simple and affordable it was to just order cards from a professional, who could guarantee a crisp and lovely finished product. 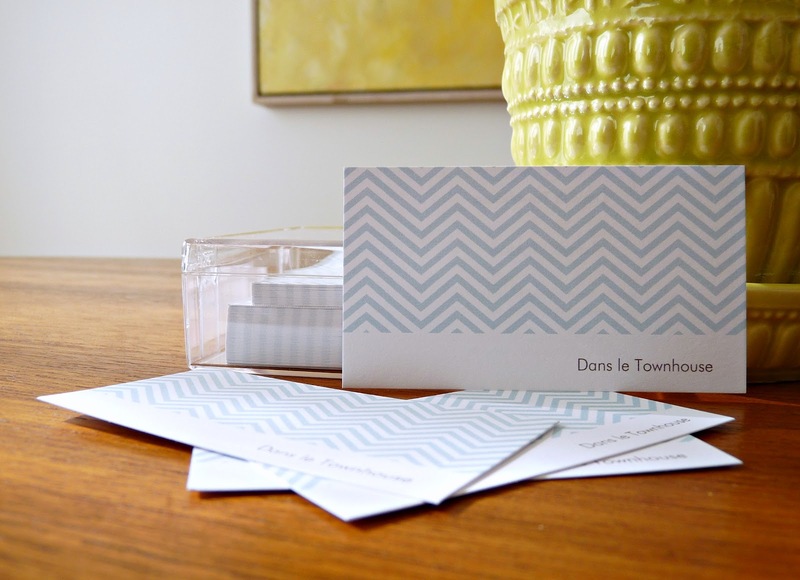 Design-wise, I like that my card is simple and uncluttered, like my DIY blog “design,” and, of course, like the townhouse. 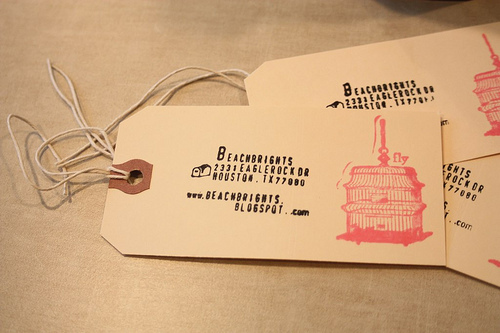 I spotted a similarly low-key shipping tag/business card combo, from Beach Brights. 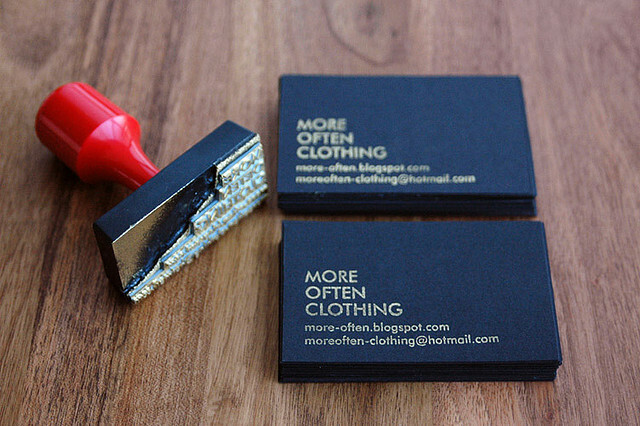 I love how relaxed and unpretentious these business cards are. 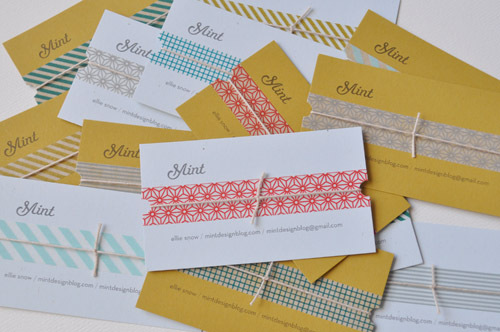 Ellie, from Mint, created a great business card from paper, patterned masking tape, and string! So simple, but the finished product is really pretty and eye-catching. 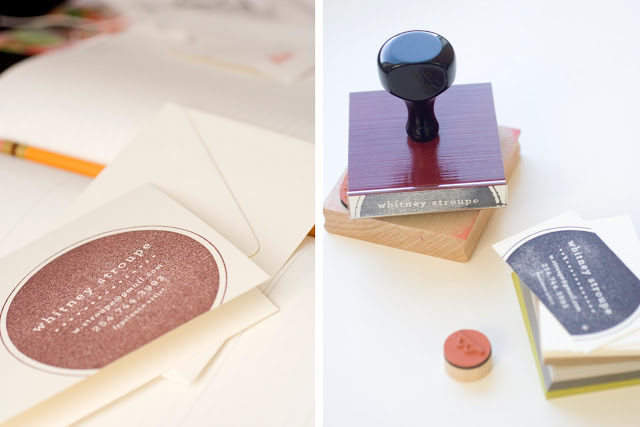 I like the vintage look of hand-stamped business cards and a stamp is so versatile. 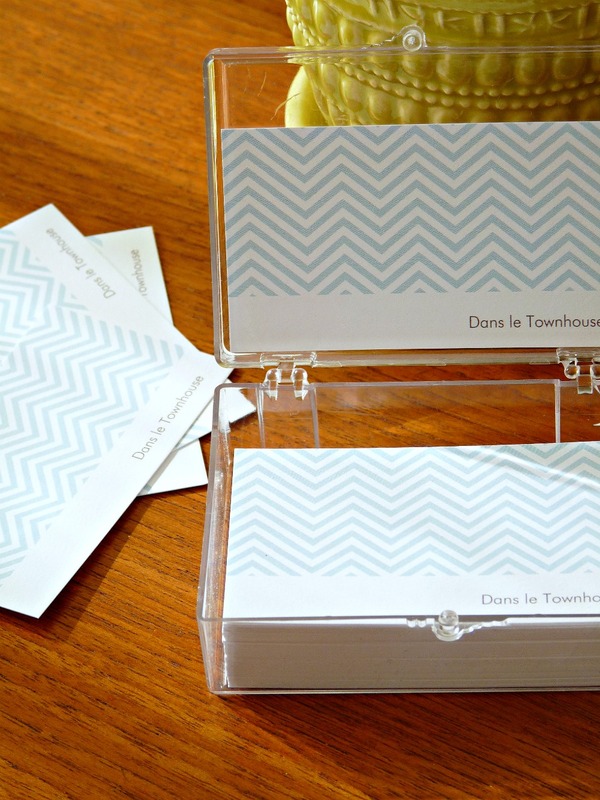 For a minimal investment, business cards can be made with ease! It is also easy to keep things interesting, by changing ink or switching up the colour of paper. 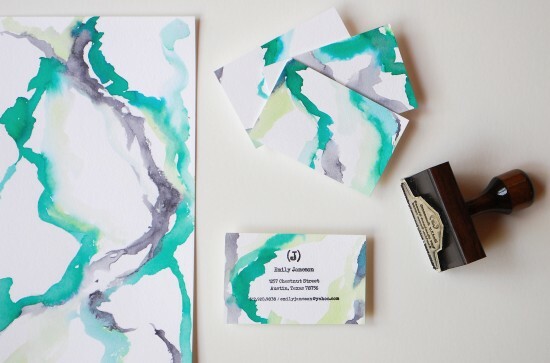 Printing on painted paper adds a one-of-a-kind touch. 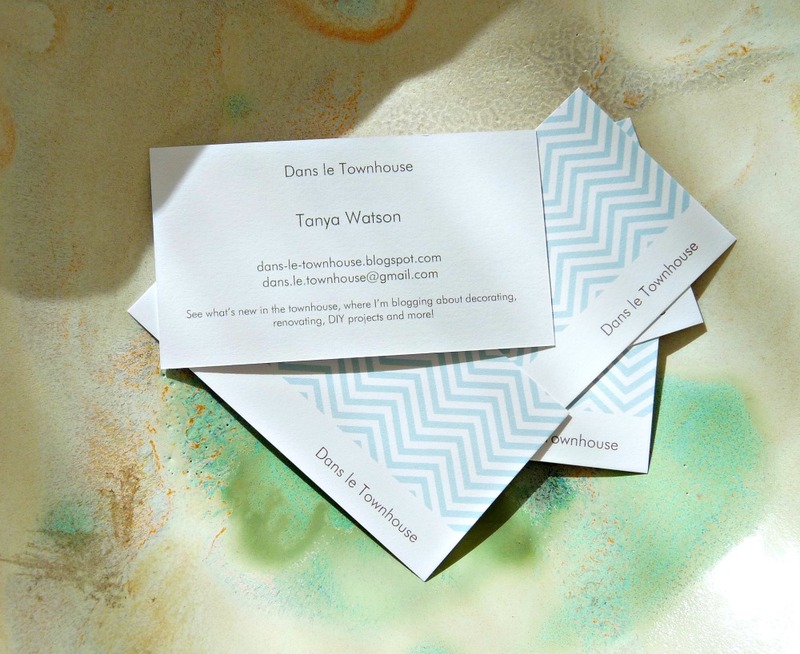 So, in your profession do you have the luxury of designing/creating your own business card? If given the option, do you prefer to DIY or sit back and let a professional do the work? They are ALL super lovely. I like yours a lot, and I think it's super practical that you could just show the designer your site and she picked something out that fits it! I don't think it's bad at all to sit back and let someone else do. it. As they say, you can have it all, but you can't do it all on your own. Something's got to give. I read an article on BitchMedia yesterday about that… That all the clever DIYs we see out there often make us feel bad in turn. I think they're all fair. But I can talk, I don't have business cards yet. I don't encounter anyone EVER that would want one or that would require me to give one 🙂 I highly doubt that I'd get some to the fine folks at my medical congresses, LOL! So happy you mentioned this! Sometimes I feel a little inferior because it seems other folks have time to DIY everything. But I still love seeing all the inspiring things people come up with, even if I think to myself "why aren't I that clever," lol. I carry cards and leave them at the store, so I go through quite a few every week. I prefer to buy my cards, because making them would be too time-consuming. I agree! You all must go through so many at the store. I thought I would go through more than I have so far, so I ordered WAY too many! But it was cheaper in bulk so I figured, why not? They will get given out eventually. I also think it might even be more expensive to DIY, unless the materials were materials someone already had on hand and wanted to use up . . .
Yours are beautiful. She did a great job on them. They are all beautiful, but I agree with others that there are only so many things you have time to DIY. 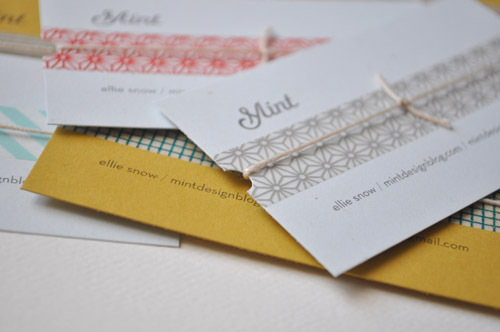 I guess it would all depend on what your business is – if you make paper products, for example, it makes sense to make your own cards, but for a blogger like me it makes more sense to pay someone else to do it. 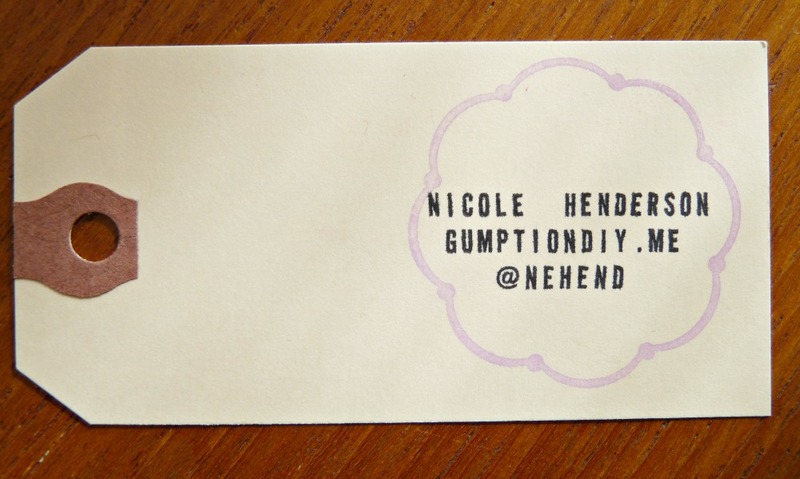 I personally wouldn't be confident enough that whatever I DIY'd would look professional enough to pass as a business card, and would rather order one from a pro-printer than risk wasting the materials myself (even though there ARE a lot of really lovely DIY biz cards out there). Whew! I'm so glad I'm not alone 🙂 After rounding up all these options I started to feel a little deflated. Who the heck are the fabulous bloggers DIY-ing cards and how do they make time? I need their secrets. But it sounds like I'm not alone in happily passing off this task. Although . . . 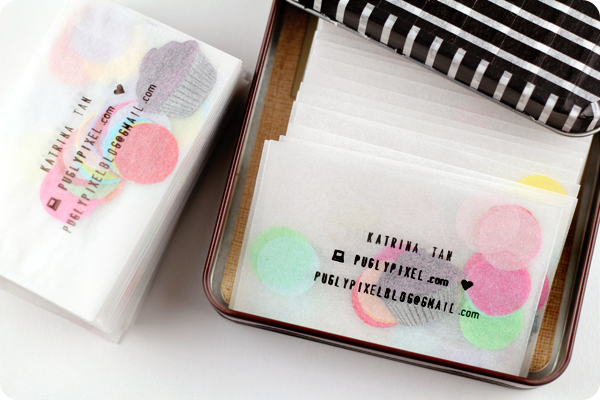 I want more people to chime in and say they DO make their own business cards so I can see! I never tire of looking at pretty things. Not even kidding, JUST last night I told Chris, "I think I need some business cards." More and more people I know (and some I don't) end up asking about our blog and I always write the address on a piece of paper and hand it to them. How pathetic am I? 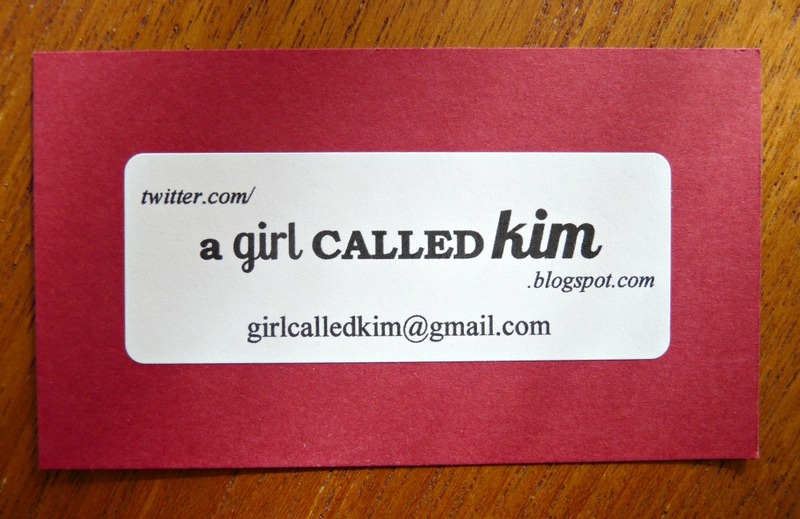 I had no idea every other blogger had business cards!!! Don't worry Julia, because at the blogging events I went to just recently, there were definitely bloggers who didn't have business cards. I only got mine in December, just so I'd have them for the conferences. If you DIY something, I hope you share because you're so crafty & creative. Holy moly pressure!I want to get a stamp. Because then I can stamp packages, cards, myself…you know, anything that needs 8footsix written on it! Yep, stamps are versatile, lol. I just had some new cards created for me when I moved. I always think I should create my own since my business is based on my creativity. The problem is that normally when I need them I'm a blank slate for creative ideas. I love all these juicy ideas:) Yours are beautiful Tanya. Since I'm all about DIY, i'd love to make my own. My worst fear is that they'd look homemade in the wrong way. I'd love some printed with my handwriting for that did-it-myself touch. Your cards look great! they're all so lovely! i especially love Ellie's! 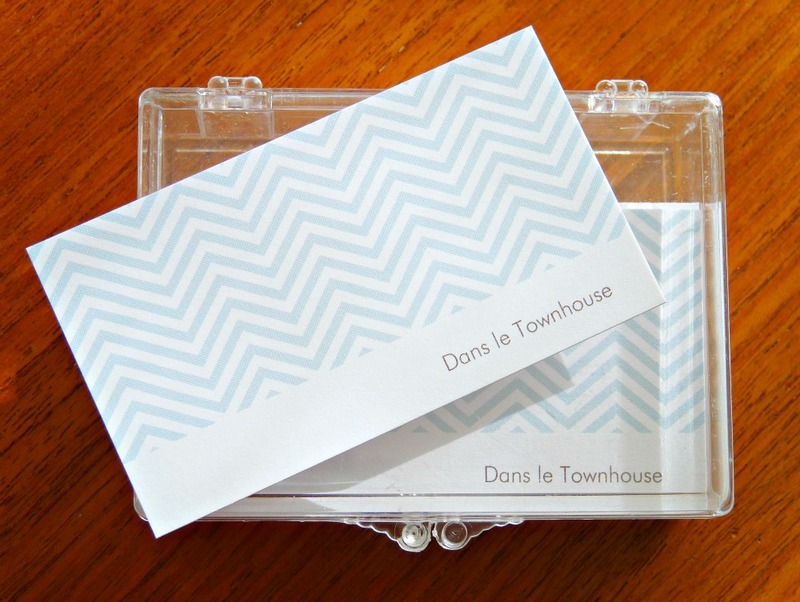 i love the simplicity of yours too – can't go wrong with chevrons!i actually was going to attempt to do some watercolour design on white cardstock, except i don't know where i've stashed my watercolours and i only decided to make cards 3 days before BlogPodium! and luckily my part-time place of work has a paper cutter so i spent my shift doing that lol. i love the idea of having a stamp made. so many options for ink colour and things to stamp! Thanks for including me Tanya! I love seeing all of the other ideas too. Eek! 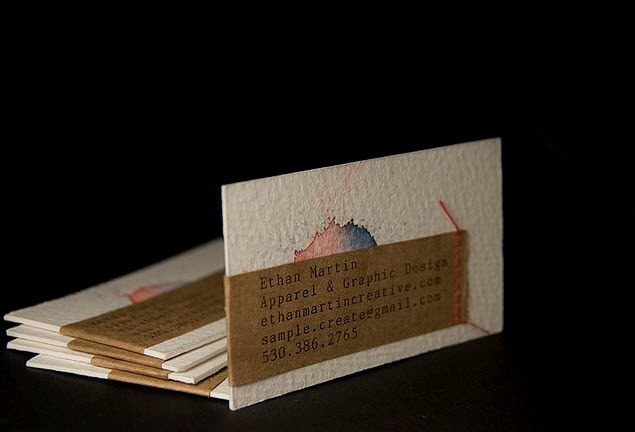 I just ordered business cards this week with a Vistaprint Groupon I got about six months ago. I'm nervous about how they'll turn out – they're super extra mega simple. I guess since I don't really run a business, they're more for networking – "Hey, I'm not just a weirdo with a camera. See? This card proves it!" Of course, then I need to develop the gumption to give them out. There's a certain security in being anonymous . . . I had mine made at Vistaprint and they turned out great. I custom made a design and uploaded it for them to print. 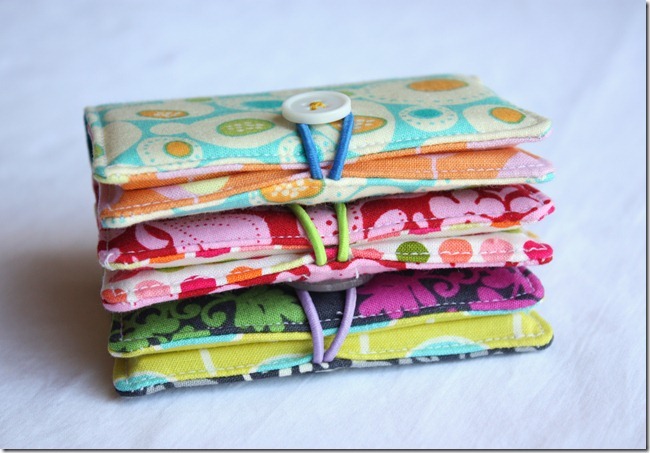 I did make a fabric holder similar to what you've posted so I feel a little creative when handing them out. I also haven't handed out as many as I thought I would. I feel a little weird/dorky. Like who am I to think my blog is big enough/professional enough/creative enough to advertise it. Who do I think I am that I need to network? I feel so much better when I'm anonymous. I'm always very self conscious thinking about my family and friends reading my blog. When I first started out my sister-in-law was critiquing a post on decluttering basically accusing me of lying and making it up since the space I had decluttered was cluttered again when she saw it. I wish I never told them I was blogging. Sorry I got a little off topic here.